Exams are undoubtedly tough for every student. However, when those questions are too difficult even for adults to answer, then there’s obviously something wrong somewhere. Besides, Singapore is known for having one of the best education systems in the world. Hence, it is obvious that their syllabus are rather tough too. Time and time again, there have been multiple mind-boggling questions that have given students, parents and even some experts, a headache. 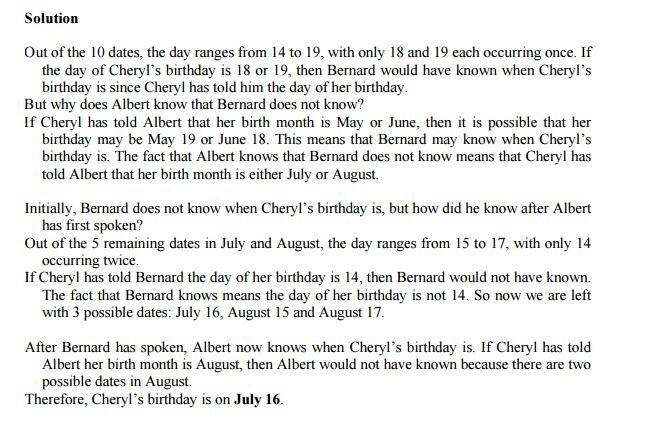 Cheryl seems to be playing hard to get with Albert and Bernard here. However, this extremely difficult question actually sparked a national debate! As if the question wasn’t difficult enough, even the explanation was terribly confusing. Well, it’s safe to say maths just isn’t for everyone. 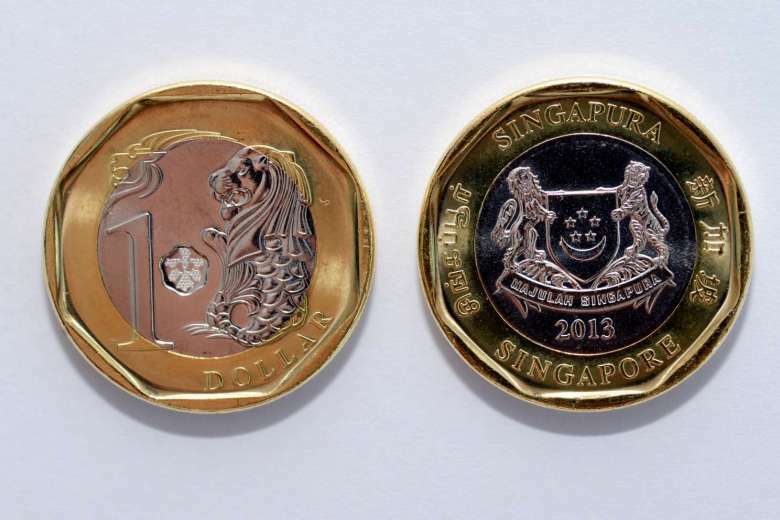 Question: How much do eight $1 coins weigh? The initial qualm about this mathematics question was that how would anyone know the weight of money in the first place? 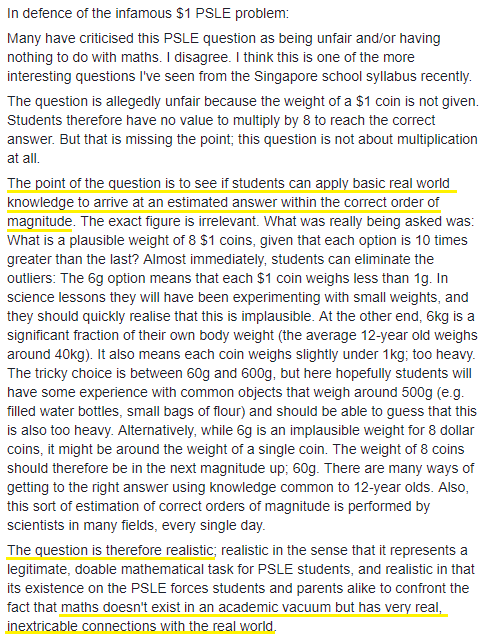 Also, the exam question did not state the weight of a single coin to begin with. 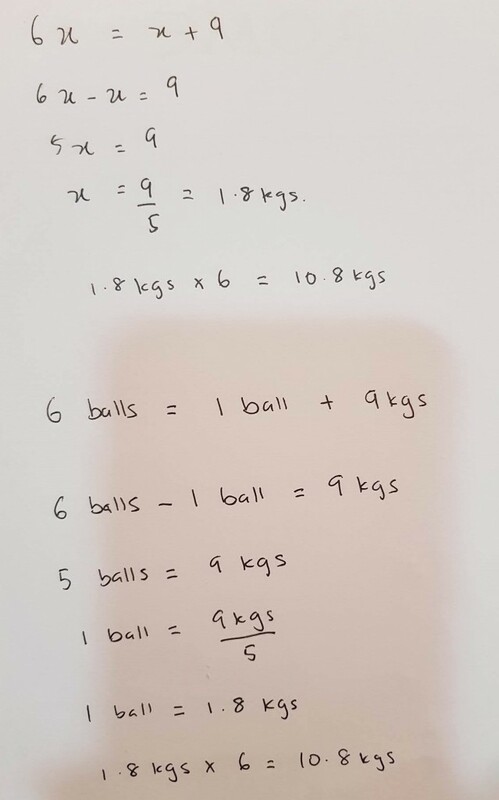 So, how would students calculate? 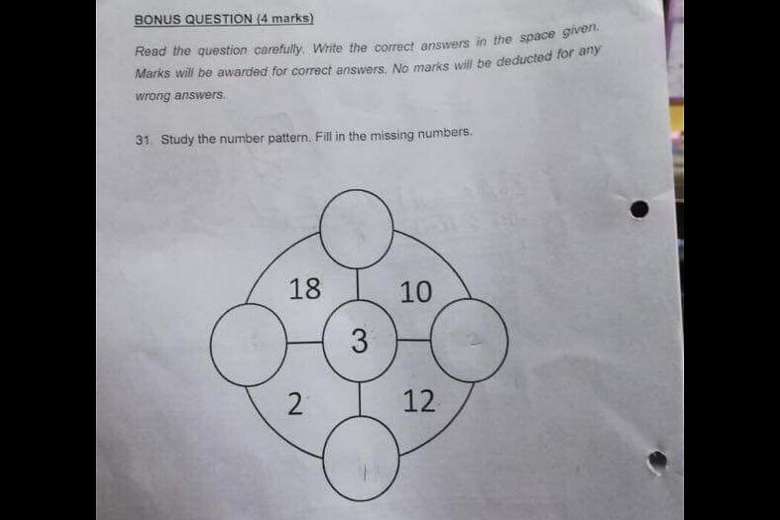 Bonus questions are usually set to be a bit tougher than the rest of the exam sheet but which 7-year-old could actually answer this? People just could not understand what these patterns meant and so they came up with multiple solutions. Unfortunately, there are no official answers released for this particular topic. Answer: Sorry folks, we also dunno. If you know the solution, please share in the comment section. No matter how you look at this question, the answer seems to point towards the word ‘excited’. However, based on the letters in the anagram, it just seems impossible to compose the word. As this issue went viral online, many people tried to unscramble the anagram and gave their own answers. Of course, the actual answer is indeed ‘excited’. The question was actually completely different but the teacher had changed it. 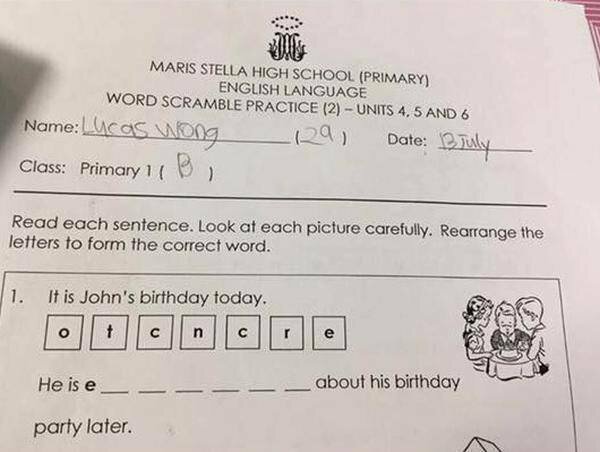 Unfortunately, the teacher forgot to change the anagram as well to match the question. Most of us would have trouble trying to explain this situation even after learning more complicated physics during secondary school; but what has a bus got to do with these blocks??? 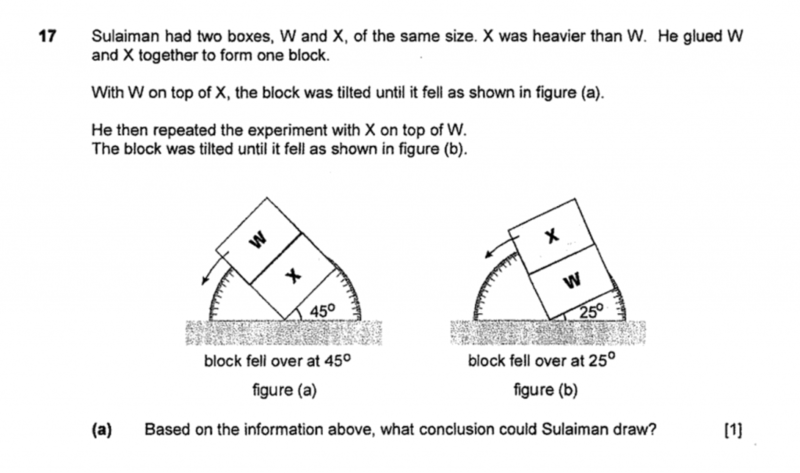 Though it may seem like some kind of rocket science question, it is actually just challenging the student’s basic logic and understanding of how things work. 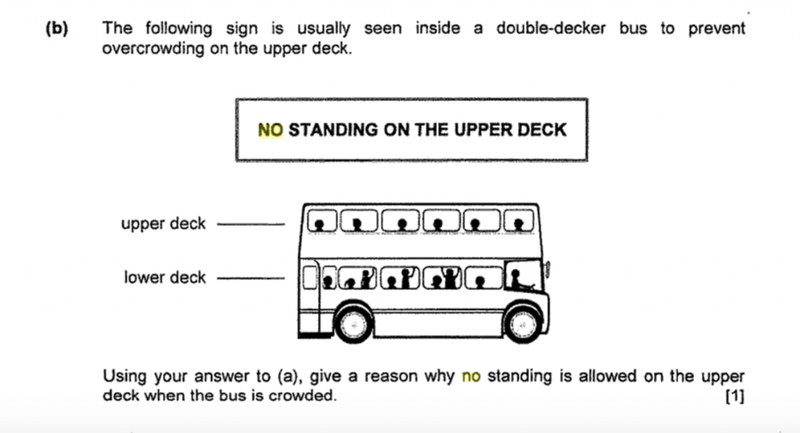 Answer: People aren’t allowed to stand on the upper deck when it’s too crowded because the bus would topple more easily if the upper deck is heavier than the lower deck. 6. What are you supposed to say? 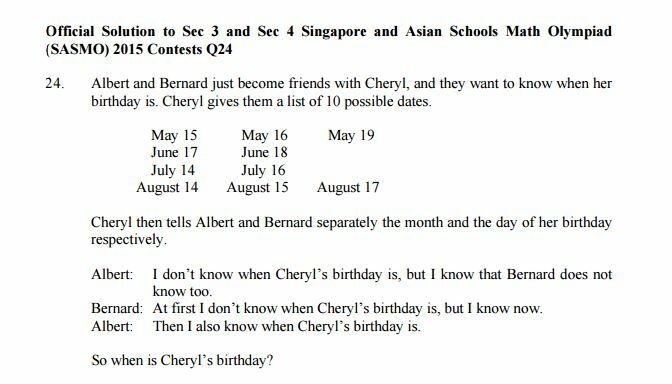 The most recent question that have left students crying is this Primary School Leaving Examination (PSLE) question. In Singapore, primary 6 students must pass their PSLE like how students in Malaysia must pass our UPSR exam. 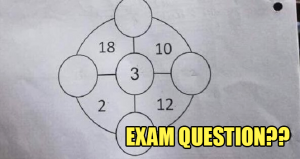 For the 2017 Chinese exam paper, students were asked this particular question. In this type of situation, the choices of answers are neither right nor wrong as it is quite subjective. The conversation could flow in any way and different individuals may choose to answer differently. Answer: My mother like lah! Ok, just kidding, that is NOT the answer. 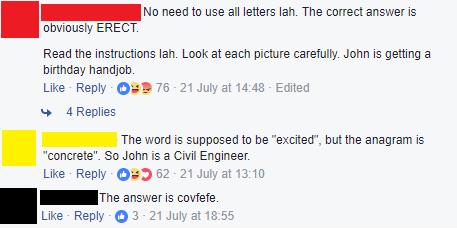 The Singapore Examination and Assessment Board (SEAB) has yet to confirm which is the correct answer. 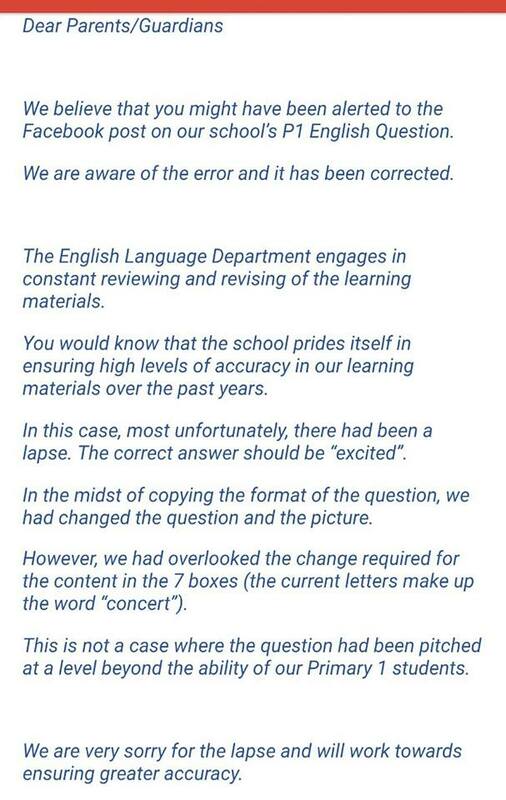 Nevertheless, they released this statement to answer queries from fuming parents. “Candidates have to give an appropriate answer to the question based on the conversation’s background information, and the words, phrasing and tone used in the conversation. Which do you think is the correct answer? As we can obviously tell, Singapore’s syllabus offer some super brain-teasing questions. Of course, Malaysia has got some pretty tough stuff going on too. This 2017 UPSR question went viral recently as people found it to be too tough for that level of education. 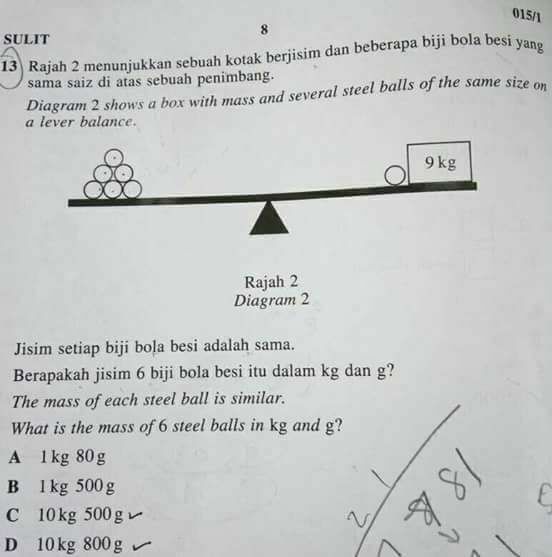 Based on a PT3 or SPM level’s mathematics syllabus, this can be very easily answered. However, standard 6 students might not have learnt the basics of algebra just yet. How did you find these questions? Were they challenging for you too? Did you manage to answer them without looking at the solutions?